A land of innumerable wonders and sights, the western peak of India and the house of wonderful artworks, Gujarat is a fantastic place to visit. 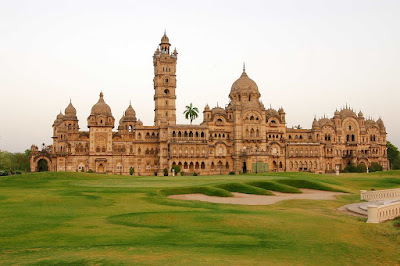 India has some magnificent architectural feats and Gujarat contains the very best of them. 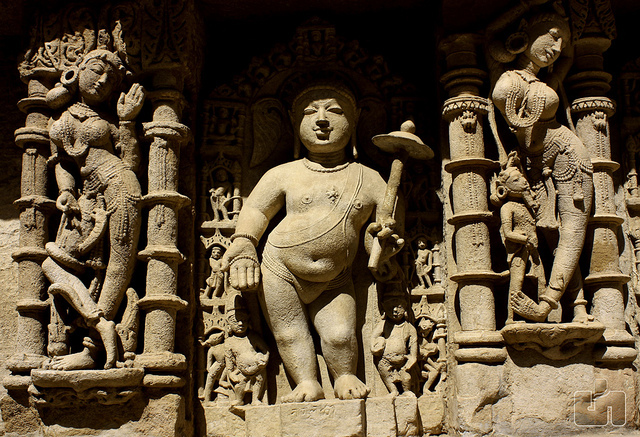 The steady hand of the sculptures or the historic masterminds of art, all can be reveled at Gujarat. A land of legends and lions, head on straight to the proud state of India to witness these 5 architectural gems. Read a page of history, written in stone and brick. An exemplary of the Indo-Saracenic architectural style, the palace was constructed in the 19th century, commissioned by Maharaja Sayaji Rao III. Feel like royalty yourself upon entering the beautifully ornate façade. The palace is regally decorated with marble, fine stone, and some elegant furnishings. The Grand Durbar Hall within the palace has eye-pleasing, mosaic walls that look and feel exquisite. Other attractions at the palace include serene sculptures in bronze, marble, and terracotta, for the wide-eyed history fanatic. The palace, still inhabited by the royal family, also has a Museum and a pond. The most splendid stepwell in Patan, Rani Ki Vav is an architectural masterpiece. It was built in 11th century and the age-old stonework remains awe-inspiring till date. A sublime piece of art, the step-well is 64m long, 20m wide and 27m deep. Such a humungous artwork is praised not just for its size but also the quality. Built with intricately cut stone and brick, even the walls of the well are adorned with symmetrical statues. These include those of Vishnu, Ganesh and Lakshmi-Narayan. Rani KI Vav shows the true skill of India’s sculptors, creating music out of brick. Built for the ruler Ahmed Shah, from whom the city Ahmedabad derives its name, this Mosque is a glorious site to witness. An architectural marvel, it is well revered by many Muslim pilgrims. 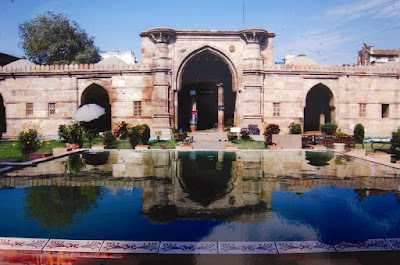 Located south-west to the Bhadra Fort, the mosque has a gorgeous garden in front of it. Built with domes and minarets, the mosque retains some Hindu figures and symbols, since a temple was demolished at the site to build the mosque. The mosque has a lovely white-marbles step with a yellow-marbles canopy in the shape of a leaf. Locating in the Sidi Bashir’s mosque, the shaking minarets are the most unique architectural wonder in Gujarat. Built to protect the edifice from earthquakes, according to popular beliefs, it is the most interesting wonder of India’s architectural splendor. Each minaret has beautiful patterns carved on it and they have stone balconies. The remarkable feat of the minarets remains how on the gentle shaking of a minaret, the other one also vibrates, even though a connecting passage between them remains unaffected. The cause of this phenomenon still remains a mystery. Have a look at these shaking minarets and let yourself be astounded by the advanced architectural thinkers of the past. 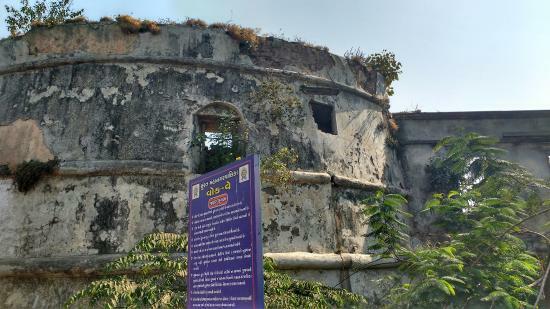 The Surat Fort was built by Muhammad Tughlak to serve as a staunch fortification against his enemies. The fort has been built with stone walls and has iron bars, which once served as protective features against Bhils - the tribal who were against a Mughal rule. The fort is a mammoth architectural splendor and many tourists flock its premises to witness its opulence. Head on over to this fort and revel in the Mughal ruler’s strength and grandeur. The wealthy heritage of India’s glorious past can be observed through these forts and tombs. Gujarat offers some stunning historical insights into the pre-colonial past through its architecture. Be sure to have your own tryst with the past and visit these architectural milestones in the wonderful Gujarat!